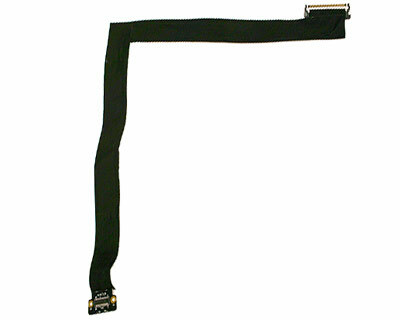 Internal LCD data cable (LVDS) for the 2007 and 2008 models of 20" Aluminium Intel iMac. Not suitable for the 2009 models. If in doubt, please contact us with you machine's serial number to confirm. This part connects the logic board to the main data connector on the back of the LCD panel.